That’s Abe Foxman, then the national director of the Anti-Defamation League, in a letter to Mark Chernoff, then and still the program director of New York-area sports radio station WFAN, on Sept. 24, 2001. In an era where seemingly everything ever broadcast—and especially the utterings of Mike Francesa—is easily findable, the tape of Mike and the Mad Dog questioning the loyalty of Jewish-Americans on Sept. 12, and, seemingly, blaming 9/11 on America’s support for Israel, is not. It is nowhere to find on the internet—not even a transcript—and word from the rumor mill is that it isn’t in WFAN’s archives either. 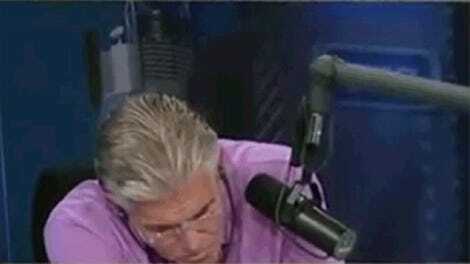 But Russo and Francesa’s most stunning moments, emboldened by the sycophants in their audience – the only callers who are indulged without interruption – came when they suggested that American Jews, on their program, submit to make-believe wartime loyalty oaths to either America or Israel. I’m sitting there, a third-generation American, my late father a Naval lieutenant who served in two theaters during WW II, four people I know, including a fireman, are missing and presumed dead, and Francesa and Russo, are inviting me to take a loyalty test designed for American Jews to prove their virtue to two sports talk know-it-alls in the wake of an attack by religious lunatics on the United States. Mushnick’s challenge to sue him if his reporting was incorrect was never taken. Over the years, various others have written about or referenced the segment. Conservative blogger Jeff Dunetz has written about it repeatedly. According to Mushnick, Yankees color commentator Suzyn Waldman heard the segment and stormed into Chernoff’s office. Craig Carton, co-host of the Boomer and Carton in the Morning show on WFAN, has referenced it, as has his co-host Boomer Esiason. It’s all over the unofficial Mike Francesa message board. “They are both aware of the role that that incident plays in the history of ‘Mike and the Mad Dog,’” Forer said. “Neither one shied away from answering it and their takes on it. They were both very direct. Mike was Mike. He maintained the position he has always maintained: There was nothing controversial and he doesn’t believe they offended anyone. Chris is a little more sensitive to it and does understand criticism of it. He was more forthright in sharing with us his opinion of what happened that day. Knowing exactly what they said is reliant upon decades-old memories. Which is why we’d like the tape. Do you have it? Were you for some reason recording WFAN 16 years ago? Do you know of an underground radio message board where people swap legendary tapes? Are you a WFAN employee or ex-employee who knows where tape of the segment can be found? Do you know someone who knows someone who knows someone? You can e-mail me at kevin.draper@deadspin.com, securely contact me a number of ways, or use Gizmodo Media Group’s SecureDrop. Please be in touch. Chris "Mad Dog" Russo Is Really Upset That Joe Girardi Blew Him Off, But Why? 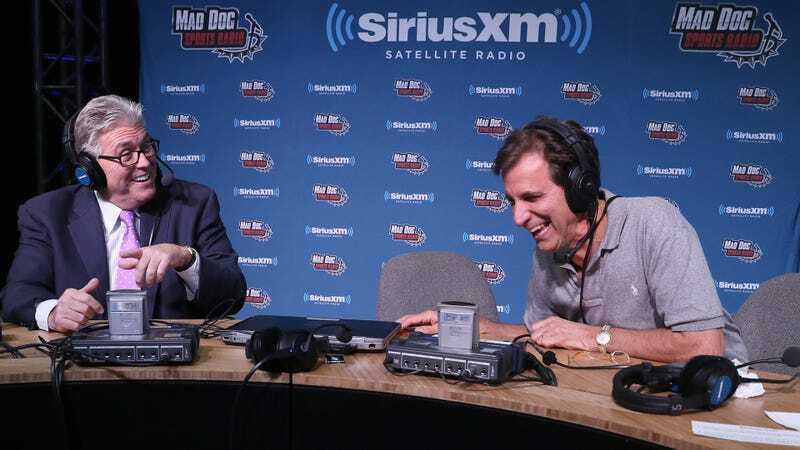 What Exactly Is Happening In This Old Photo Of Mike And The Mad Dog?